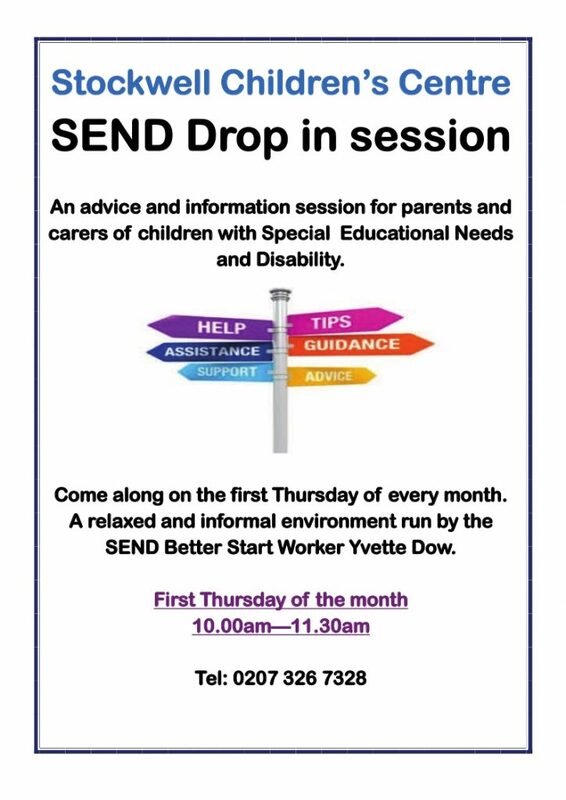 We are happy to share some details of the SEND drop in sessions that are held at the Stockwell Resource Centre. These take place on the first Thursday of every month. They are aimed at parents and carers of pupils with Special Educational Needs and Disability.